Your Toy Story pals can’t wait to have you join them in Toy Story Land where kids and grown- ups alike can experience all-new adventures. In the so-much-larger-than-life setting of Andy’s backyard, your family is invited to shrink down and become a toy alongside Woody, Buzz Lightyear, Jessie and the rest of the Toy Story gang. Take part in the adventure together— among giant building blocks and board games that Andy’s rigged up to become a playground straight out of his vivid imagination. First off, Andy’s assembled his awesome coaster kit and Slinky Dog is poised to take you on a wild journey. The new Slinky Dog Dash whooshes throughout the land. Hold on for an exhilarating ride that twists Slinky Dog’s coils around curves, hills, bridges and drops. It’s a crazy ride the whole family can enjoy together. Then, head inside to Andy’s room where the toys have set up their carnival play set. On the fan- favorite Toy Story Mania!, your Toy Story pals help you blast your way through a 4D arcade. Fire at targets with everything from baseballs to cream pies. But you better practice your aim, because high-score bragging rights are on the line for friends and families. Toys love snack time, too. The gang has taken a Woody’s Roundup lunch box and turned it into a Quick-Service window, Woody’s Lunch Box. During your upcoming Toy Story Land adventures, be sure to drop by tfor a toy-riffic meal. Dishing out all sorts of tasty treats for “honorary toys,” Woody’s Lunch Box features classic American fare, old-fashioned soda floats and other Toy Story-themed specialties. The S’more French Toast Sandwich and Raspberry Lunchbox Tarts are especially yummy! You can see the entire menu here. 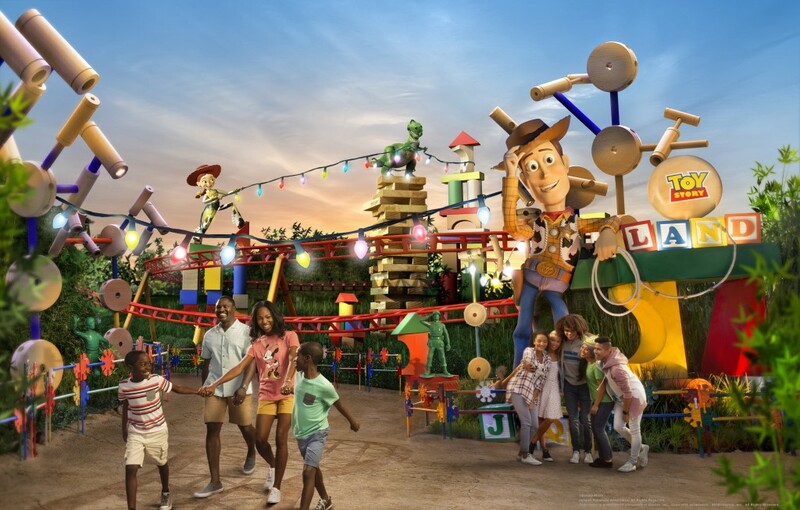 If you’re ready to plan your visit to the new Toy Story Land at Walt Disney World, just click here!